Aloha! 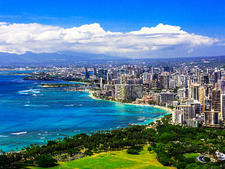 Island hop your way through Hawaii on a cruise. 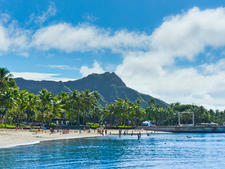 On Oahu, visit Honolulu's Waikiki Beach and pay your respects at Pearl Harbor. 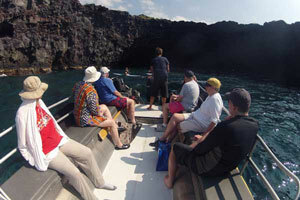 View active volcanos on Hawaii, the Big Island, seek out water sports in laidback Maui and escape from it all in Kauai. 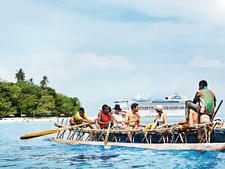 Voluptuous women swaying in grass skirts, raging waves dotted by tan surfers on sleek boards, deserted beaches framed by swaying palms, fresh pineapple served alongside roast pork at a rocking luau: Whatever you envision when you think of Hawaii, it's accessible by cruise ship -- and right here in the United States. 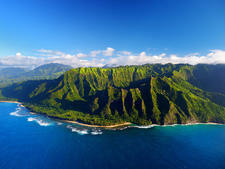 The eight major Hawaiian Islands are volcanic, each created from at least one primary volcano. 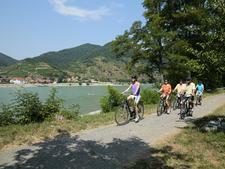 And each is different, with distinct climates and attractions -- an aspect that makes cruising there even more appealing. On a given sailing, you might sail by the dramatic cliffs of Kauai's Napali Coast, sunbathe on Honolulu's bustling Waikiki Beach, reach the volcanic summit of Maui's Haleakala Crater and taste some of the world's best coffee in the verdant hills above Kona. 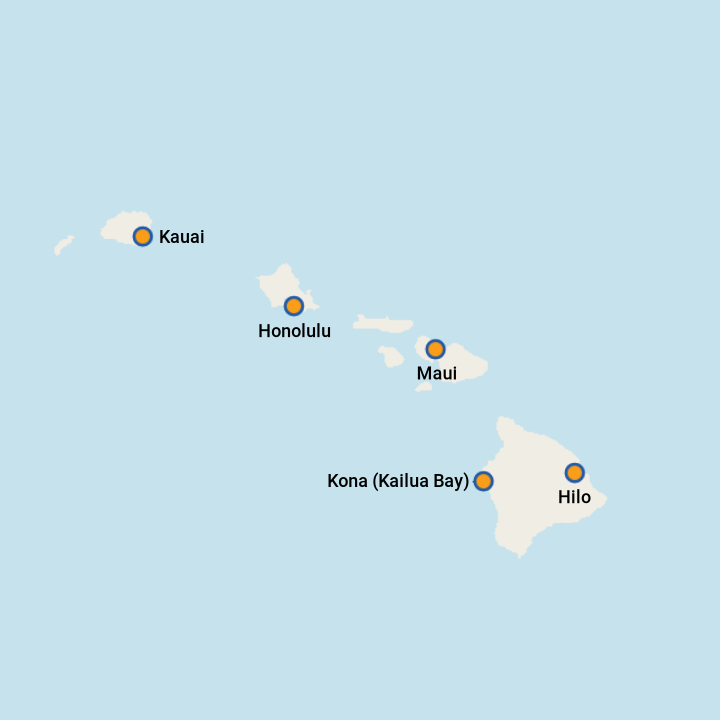 A voyage to Hawaii presents a tricky situation for cruise lines: To comply with passenger shipping laws, foreign-flagged ships (which most cruise lines have) cannot sail an entirely U.S.-based itinerary without calling in at least one foreign port. 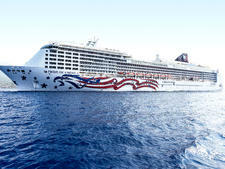 Norwegian solved the problem by launching Pride of America, a U.S.-flagged ship with an American crew, which can sail exclusively in the islands; this move was not without added cost and headache to the cruise line, as it initially struggled to solve service issues and attract passengers. 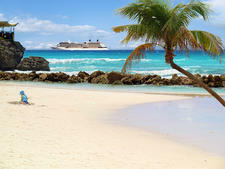 Most other major cruise lines fulfill the requirement by sailing out of Vancouver on repositioning sailings, hitting up Ensenada on roundtrip cruises from the North American mainland or visiting Hawaii on longer transpacific sailings. Regardless of whether you opt for a short or long itinerary, Hawaii is bound to overwhelm you with its bounty of attractions and activities. Because a cruise can only give you a quick taste of island life, don't be surprised if you return home and start planning a longer land vacation to your new favorite port of call. With hundreds of beaches, all of which are public, it's no surprise that Hawaii is a paradise for lovers of sun and sand. Much like the rainbows seen throughout Hawaii -- including on car license plates -- the Aloha State's beaches offer myriad colors, featuring white, black, red, pink and even green sand. There are famous beaches that cater to lots of people every day and other beaches where you might find yourself the only person for miles. 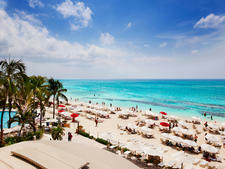 But, which one is the best when you're visiting on a cruise? 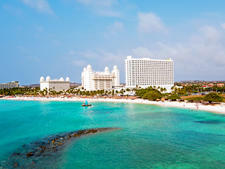 Here are our picks for some of the top beaches for cruise visitors.